When you see some of the amazing 3D art that’s out there today, it seems logical, at first, to consider the technology (especially the 3D printer) as a means of creating one final product. Just Google “3D printed art” and you’ll see what I mean: incredible sculptures and mind-bending geometries that use the limitless capabilities of 3D software and 3D printing to masterful effect. But there is a subset of artists who use 3D technology not as the sole means of production, but as a catalyst in a larger workflow. Sometimes, these are artists who want to continue with a traditional production method, but ramp it up with 3D printing. Others want to combine digital workflows with handcrafted design. In this respect, they can hold traditional methods close while increasing their potential. Today, I want to share with you a few instances in which artists don’t use 3D technology as the star of the show but as a way to breathe life into their work and methods. Finished 3D Systems cufflinks in sterling silver. Lu McCarty, a 3D Systems training specialist, sometimes fields some interesting requests. He also maintains our spread of 3D printers, so he has access to all the resources he requires to handle the design jobs that come in. 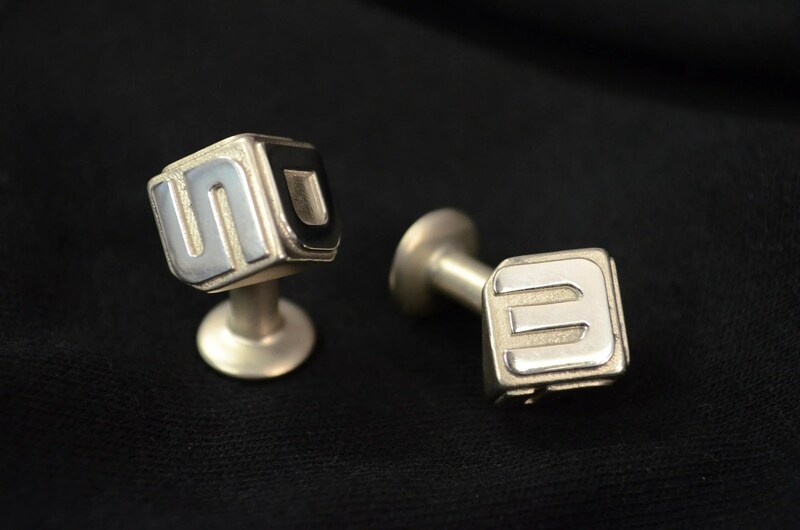 This particular request came via an internal email: Does anyone have any 3D Systems cufflinks? Answer: No. Well, not yet, anyway. Lu set to work, creating an initial design in about 30 minutes using our Geomagic Design Direct software. After his first design was finished, Lu 3D printed several plastic concept models to check form and make sure the cufflink would fit on a shirt. By itself, the ability to test the piece before final production is a huge step forward from the traditional process. Now, we’re not at the point (yet) where 3D printing sterling silver jewelry is a reality. Usually these pieces are made by creating a wax pattern from which the jeweler makes an investment cast. From there she pours the silver into the cast, cools it and—voila!—the ring is made. The wax pattern itself is usually made from a rubber mold, which can take time, especially for a custom job like these cufflinks. But jewelers now have the ability to 3D print their wax patterns. Many send their designs to service bureaus for printing while others have 3D printers in house. Lu used our ProJet 3510 CPX, which is made especially for creating wax patterns for everything from manufacturing to jewelry to medical devices. 3D printed wax patterns burn out of the investment cast the same, if not better, than traditional wax molds. So the jeweler can still cast detailed, sparkling jewelry, but do it faster, especially for custom pieces. 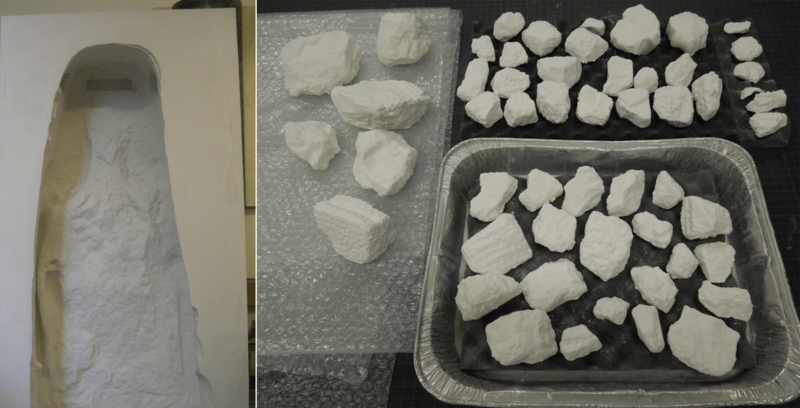 In Lu’s case, he had the final wax patterns ready for casting in just under three hours. After that he sent them to a local jeweler, where they cast the final cufflinks in sterling silver. DeMille didn’t think he’d ever mass-produce anything or even make a mold of his sculptures to sell them on a large scale. But things change. “I needed to make a living for my family,” he says. 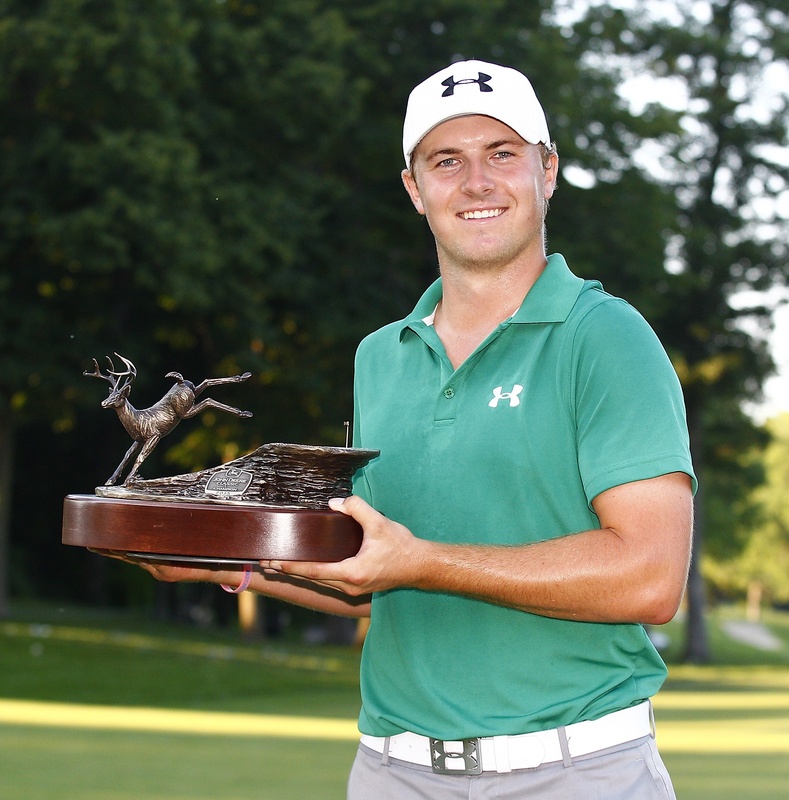 DeMille is now a successful jewelry, sculpture and award designer who creates trophies for several high-profile PGA tour events. 3D technology gave him a way to preserve the organic, creative heart of his work while making it manufacturable. Namely he’s using Geomagic Freeform, a haptically enabled 3D organic design software that allows artists and designers to maintain the tactile sensation of hand sculpting while also making for quick manufacturing preparation, mold preparation and 3D printing. DeMille still uses hand sculpting in virtually every project he works on, whether he’s refining a scan of hand-sculpted clay in Freeform or physically tweaking a model he first created in Freeform. But the bottom line is that the digital addition to his workflow allows him to make molds for reproduction and more easily create large numbers of pieces that his employees can assemble. This means more products to sell and the ability to fulfill larger orders. In essence, DeMille has found a way to create art with intention by using 3D technology. You can check out Malcolm’s work at www.mdemille.com. The niche for the smaller, 35-foot Buddha. The Buddhas of Bamiyan were once colossal stone sculptures carved into the sandstone cliffs lining central Afghanistan’s Valley of Bamiyan. At 53 meters and 35 meters tall, these two Buddhas epitomized Gandhara art and stood as both cultural identifiers and vital symbols of the area’s unique blend of Greek and Buddhist cultures. But these massive pieces of art, dating to 554 AD and 507 AD, were demolished by the Taliban in 2001, leaving behind two empty niches. 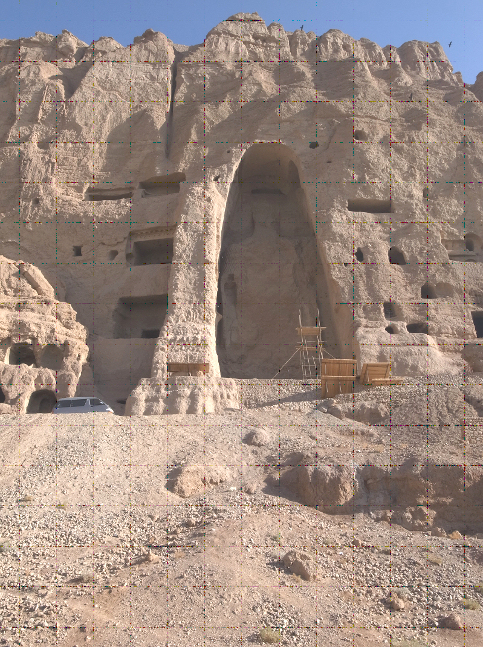 However, an international team of restorers is currently undertaking to rebuild the Buddhas of Bamiyan. One of the huge challenges of this project is the logistics of moving and replacing the massive pieces that remain of each statue and coordinating the necessary equipment among challenging terrain. They’ve tabbed a host of 3D technology for this monumental task, namely using Geomagic Studio to scan the empty niches and the remains. With digital 3D models they can catalogue each piece. But they’re also 3D printing them on a 3D Systems ColorJet 3D printer at 1/25 size. Using these 3D prints they’ll begin to practice the reassembly and plan the logistics of the reconstruction. 3D printed niche on left, 3D printed fragments at 1/25 scale or right.